The LCCA Art mediation programme is one of the centre’s initiatives to broaden the audience of contemporary art. 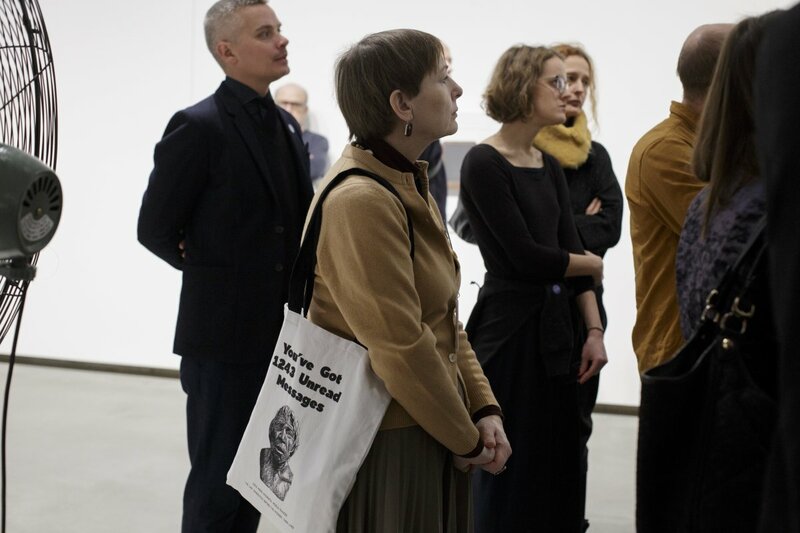 It is an innovative way of audience development, that involves specially trained agents – art mediators – that are present in the exhibitions, welcoming the visitors, engaging in conversations and communicating the content of the exhibition. Unlike traditional museum guides, art mediators do not impose their own story, but rather encourage a conversation and provoke the audiences engagement with the exposition. The current art mediator group consists of 29 people from various backgrounds, selected through a strong competition in early 2017. The members of the group have undergone special training in communication with audiences as well as theoretical introduction to contemporary art language and history. They have had practical work experience with audience during the annual SURVIVAL KIT 9 festival and a large scale exhibition “You’ve got 1243 messages” at the Latvian National Museum of Art. Art mediation programme offers and ongoing course for its members, including both theoretical lectures and practical workshops focusing the subject matters of the current exhibitions and preparing the mediators for particular work assignments. All the group members speak Latvian, 25 of the mediators are fluent English speakers, 13 are Russian speakers. Some individuals speak Estonian, French and Spanish. The various age groups and professional backgrounds of the mediators ensure good communication with their peer groups and bring these groups to the exhibitions. There are 9 people aged 18 – 25, 9 people aged 26- 45, 5 people aged 46- 61, and 6 people aged 62 +. The professional backgrounds varies from art students, artists and teachers, to marketing specialists, natural scientists, from doctors and pharmacy specialists to lawyers, financiers and accountants, all interested in contemporary art. Photo: Kristīne Madjare. Latvian Centre for Contemporary Art, 2017.